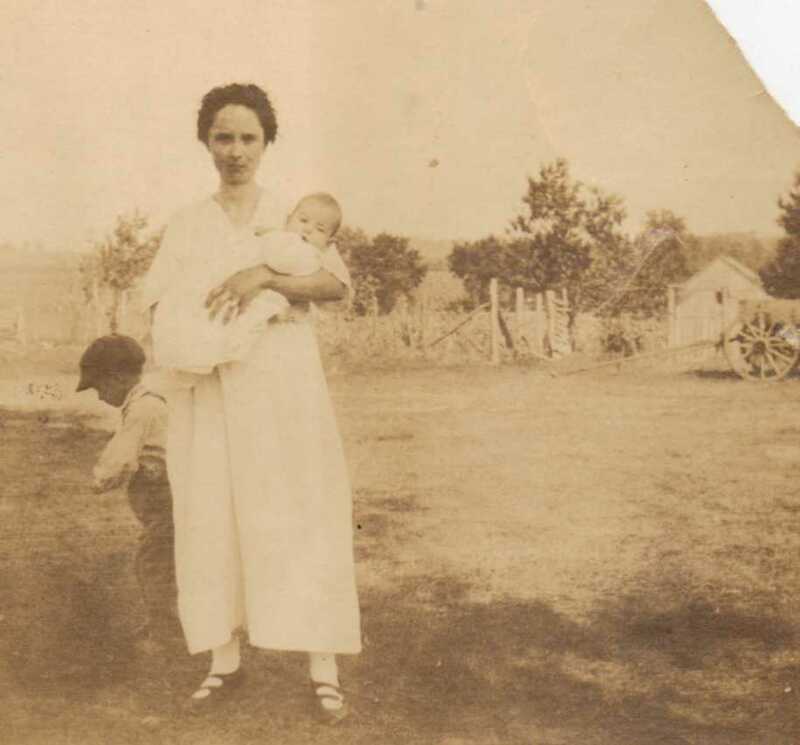 Minnie (Dudgeon) White holding Buford White in 1917. The little boy behind her is either Houston or Clifton White. How lucky the baby is facing out rather up so the face shows clearly. Good point, I hadn't thought about that. Usually they are looking up or their face is hidden by the blanket! Pretty baby - as Wendy stated, you're fortunate to have a good view of her little face. It doesn't usually work out that way with old baby photos. Have you enlarged the photo & cropped it to have a better view of the baby? 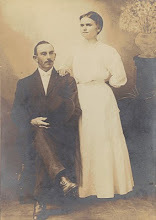 On my Ancestry account, if I don't have a decent closeup image of a person, I'll crop the best pic I have and use it as their main photo. Hmm, I have not enlarged it. I'll have to do that, thanks!